Washington rushed for 30 yards on four carries during Sunday's 35-3 loss to the Chiefs. 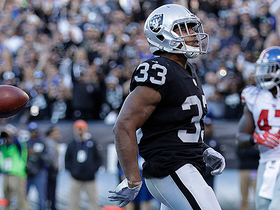 Washington logged one carry for minus-one yard Monday in the Raiders' 27-14 win over the Broncos. Washington rushed for one yard on his lone carry during Sunday's 30-16 loss to the Bengals. 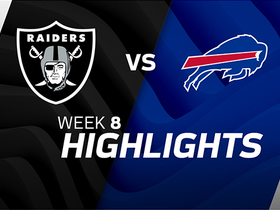 Analysis: Washington has now been held to a single-digit offensive snap count for four consecutive games as Doug Martin and Jalen Richard continue to lead the Raiders backfield during Marshawn Lynch's (groin) absence. Washington's limited volume in the offense figures to remain a hindrance to his potential fantasy value again Week 16 against the Broncos. Washington rushed for seven yards on three carries and lost a fumble in Sunday's 40-33 loss to the Chiefs. Analysis: Washington earned a minuscule six offensive snaps and was ineffective during his limited action with an average of 2.3 yards per carry. Meanwhile, fellow running backs Doug Martin and Jalen Richard combined for 193 yards of total offense on 29 touches. Washington's role figures to remain restricted in Week 14 against a Steelers defense that has done a solid job of holding opposing backfields in check. Washington rushed for eight yards on three carries and caught his lone target for nine yards in Sunday's 34-17 loss to the Ravens. Analysis: Washington was dealt a season high 12 carries in the Raiders' Week 11 win over the Cardinals, but saw his role reduced Sunday as starter Doug Martin was able to play through a minor ankle injury. 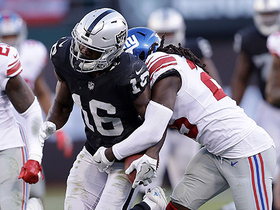 Washington's fantasy value also continues to be limited by pass-catching complement Jalen Richard, who has seen at least four targets in nine straight games. 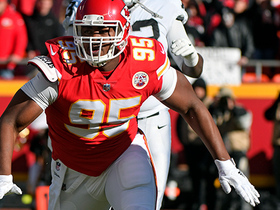 In Week 13, Oakland is slated to host a Chiefs defense that is giving up 5.0 yards per carry. Head coach Jon Gruden said the Raiders will try to get Washington more involved during the final six games of the season, Michael Gehlken of the Las Vegas Review-Journal reports. Washington rushed 12 times for 39 yards in Sunday's 23-21 win over the Cardinals. 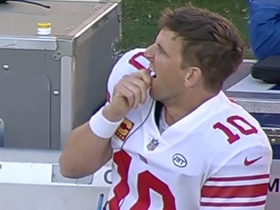 Washington rushed for 27 yards on five carries during Thursday's 34-3 loss to the 49ers. Analysis: Suiting up for just the second time this season, Washington increased his carry total from one to five on Thursday. 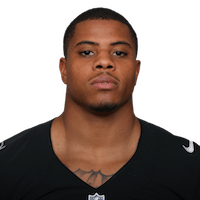 With Marshawn Lynch on injured reserve, Washington figures to be the second ball carrier behind Doug Martin while Jalen Richard serves as the scatback. A handful of carries without much action in the passing game probably doesn't provide much value on a free-falling Oakland team, even against a middle-of-the-pack Chargers run defense Sunday. 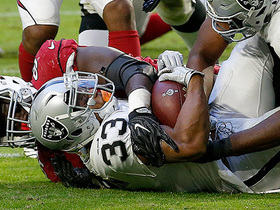 Oakland Raiders running back DeAndre Washington is stopped by the Arizona Cardinals defense on third-and-goal. 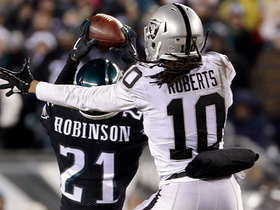 Philadelphia Eagles cornerback Patrick Robinson reads Oakland Raiders quarterback Derek Carr's eyes and snatches his fourth interception of 2017. 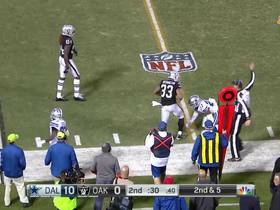 Oakland Raiders quarterback Derek Carr throws to running back DeAndre Washington for a 6-yard gain. 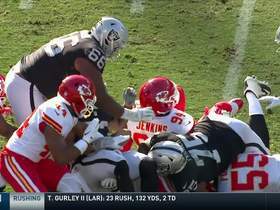 Kansas City Chiefs defensive end Chris Jones overpowers two blockers, halts Raiders on third-and-1. 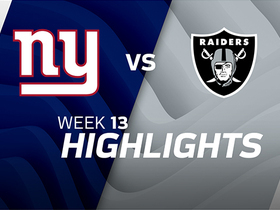 Watch the best plays from the Week 13 match up between the New York Giants and the Oakland Raiders.